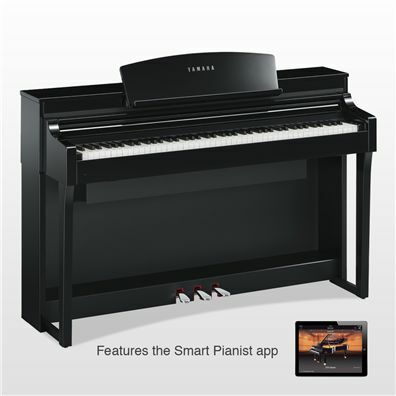 The Yamaha Clavinova CSP-170 digital smart piano can teach anyone how to play their favorite songs, right out of their own digital music library. Streaming lights in the panel above the keyboard move towards each key showing you which notes to play and when to play them, with speed and difficulty adjustable to your skill level. The CSP-170's internal features are accessed via the user's own iPad, maintaining an elegant, traditional look. Other features include Natural Wood (NWX) 88-key weighted keyboard action with escapement, Yamaha CFX and Bosendorfer Imperial concert grand piano samples, and a two-way stereo speaker system.